Get the data you need from patient surveys to make real improvements. 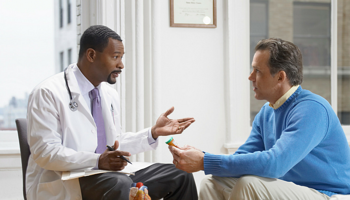 Why does patient satisfaction matter? Surveys says... because patients want a better experience. Patient satisfaction plays a big role in retention and now in reimbursement. You can’t afford not to monitor patient satisfaction. You need to know what you are doing well and what needs work. Improving patient satisfaction should be a priority, and we can show you how. How can you know what’s going right and what’s not? We’ll tell you. Patient surveys. They are a must. 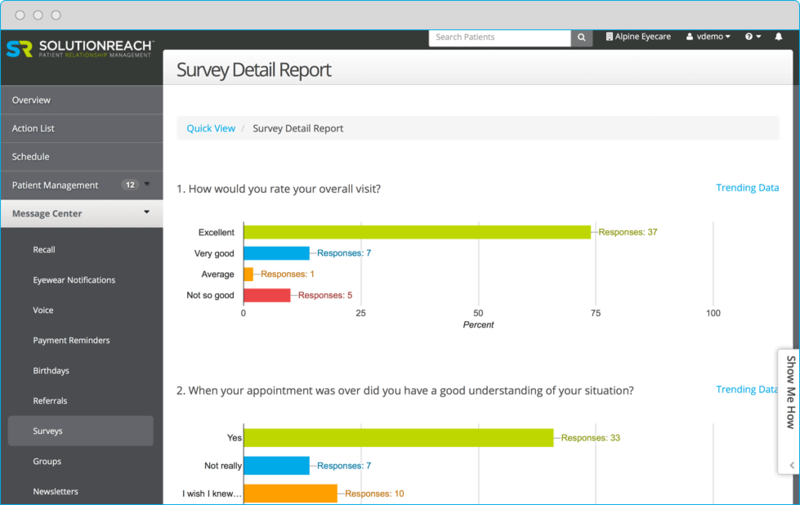 Solutionreach automates surveys to track satisfaction and get feedback on new services. With patients demanding more consumer services and better customer service, you need to know what to work on or risk losing patients. Customizable – Surveys can be completely customized by the practice. That means you can get the feedback you really want instead of being confined to a pre-determined list of questions. And that means you’ll solicit more valuable patient feedback. And THAT leads to greater transparency about your strengths and opportunities to improve upon the patient experience. Survey customization is an awesome thing. Automated – Don’t let your office staff waste time by sending out surveys individually to all patients. It’s such a painful way to get feedback. Solutionreach allows for automated patient surveys to be automatically distributed to patients, saving the office valuable time. We’ll even do it right after a patient’s visit, so the experience is still fresh on their mind. Targeted – Patients have varying needs, so surveys shouldn’t come in a one-size-fits-all package. 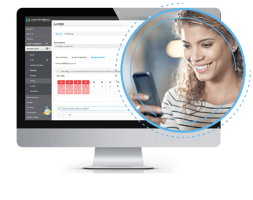 Leverage the customization within Solutionreach and target patient surveys to specific groups to further improve patient relationships and loyalty. Patient satisfaction impacts your practice’s bottom line—period. It’s nothing to mess around with. You need to know what patients really think. Net Promoter Score® (NPS) tracking provides a single metric to reveal patient satisfaction. Solutionreach shows the NPS on the dashboard so you always know how likely patients are to recommend you to others. Want to learn more about how to increase patient satisfaction for your office? Keeping patients happy and coming back is the focus of nearly every successful practice. Implementing techniques to make the patient experience better is a goal of most, if not all, healthcare providers. Patient satisfaction surveys for physician offices are critical to the long-term success of your practice-regardless of specialty. Surveys can boost patient satisfaction, improve physician brand, and impact reimbursement. Building your patient relationships is more than just making sure you put on a friendly face every time your patients are in for their care appointments. Powerful tips on keeping patients happy. They're waiting for you in this white paper.